This is the official portal for the Brotherhood Clan. You can find information on how to join the Brotherhood as well as information on the War Robots game itself. This site is still under development and will change week-to-week as more content is added. If you are a Brotherhood Clan member then you will be given access to information that we maintain about the clan and War Robots. If you join the Brotherhood you are not just joining us in gameplay, but also as a community. 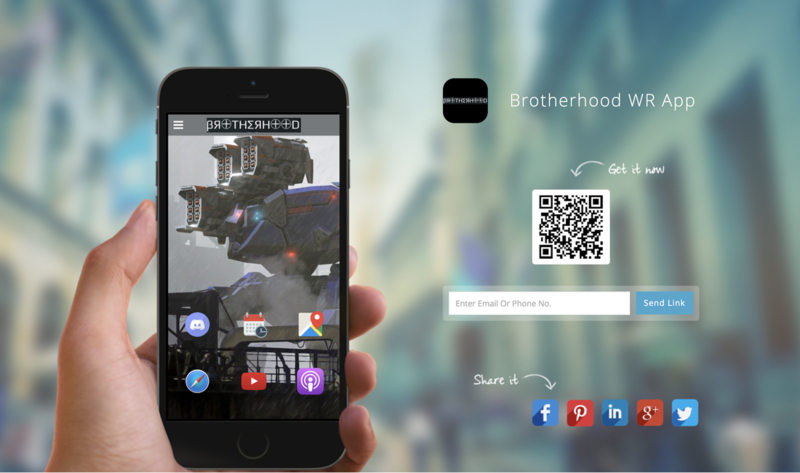 New Brotherhood iOS App is out!! Please answer these polls and let the Pixonic community know where you stand. Which of the new robots is the most overpowering? How happy are you with War Robots? Do you think the Specter robot is overpowering in the game? What do you think of Pixonic's Pricing for bots?